Cambio climático: ¿por qué el mundo está en una etapa crucial para su futuro?/Climate change: why is the world at a crucial stage for its future? ◾Variaciones en la salida de energía del Sol. ◾Una disminución del vapor de agua atmosférico. ◾Mayor almacenamiento de calor por los océanos. Cómo nos afectará el cambio climático si no se actúa? 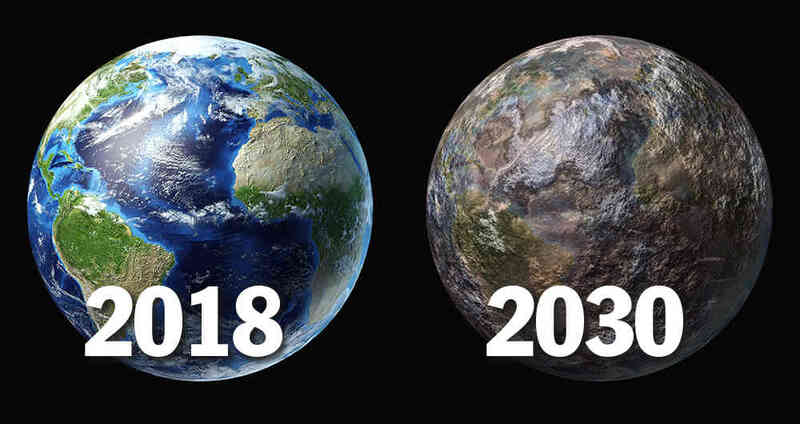 Climate change: why is the world at a crucial stage for its future? The climate of the planet has been constantly changing throughout geological time. The current global average temperature is about 15 ° C, although the geological evidence suggests that it has been much higher and lower in the past. However, the current warming period is occurring faster than events recorded in the past. Scientists worry that natural fluctuation, or variability, is being overcome by rapid warming caused by humans, which has serious implications for the stability of the planet’s climate. That is why the COP24 conference in Katowice, Poland, is a key event to get the countries of the world to reach an agreement on measures to prevent accelerated global warming and its consequences. Without this effect the Earth would be about 30 ° C cooler, which would make our planet very hostile to life as we know it. Scientists believe that we are actively contributing to the natural greenhouse effect with the gases released by industry and agriculture (known as emissions), which cause more energy to be trapped and the temperature to rise. This is commonly known as global warming or climate change. The most important of these greenhouse gases, in terms of their contribution to global warming, is water vapor. But the concentrations of it show little change and persist in the atmosphere only for a few days. In contrast, carbon dioxide (CO2) persists for much longer (it would take hundreds of years to return to pre-industrial levels). In addition, there is so much CO2 that it can only be absorbed by natural reservoirs such as the oceans. 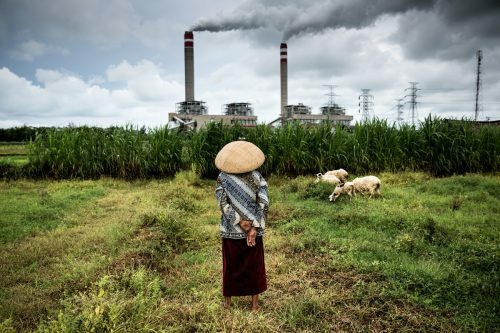 Most of the CO2 emissions produced by man are released through the burning of fossil fuels, but also by the reduction of forests that absorb carbon. Other greenhouse gases, such as methane and nitrous oxide, are also released through human activities, but their overall abundance is small compared to carbon dioxide. Since the industrial revolution began in 1750, CO2 levels increased more than 30% and methane levels increased more than 140%. The concentration of CO2 in the atmosphere is now higher than at any other time in at least 800,000 years. What is the evidence of global warming? Temperature records dating back to the late 19th century show that the average temperature of the Earth’s surface has increased by about 0.8 ° C in the last 100 years. Almost 0.6 ° C of this warming occurred in the last three decades. Satellite data show an average increase in the global sea level of about 3 millimeters per year in recent decades. A large proportion of the change in sea level is due to the thermal expansion of seawater: as the seawater heats up, the molecules become less dense and cause an increase in the volume of the ocean. But the melting of the mountain glaciers and the decrease of the polar ice caps also contribute in an important way. Most of the glaciers in the temperate regions of the world and along the Antarctic Peninsula are decreasing. Since 1979, satellite records show a dramatic decrease in the extent of Arctic sea ice at an annual rate of 4% per decade. In 2012, the ice extent reached a minimum record that was 50% lower than the 1979-2000 average. What are the countries in Latin America that are farther (and closer) from meeting their climate change goals? The Greenland ice sheet has experienced a record fusion in recent years. If the whole layer of 2.8 million cubic kilometers melted, sea levels would increase by 6 meters. Satellite data show that the West Antarctic ice sheet is also losing mass, and a recent study indicated that East Antarctica, which did not show a clear warming or cooling trend, may also have begun to lose mass in recent years. But scientists do not expect dramatic changes. In some places, the mass may increase as heating temperatures drive the production of more snow. The effects of a changing climate can also be seen in vegetation and terrestrial animals. These include earlier flowering and fruiting times for plants and changes in territories (or ranges) occupied by animals. How much will temperatures rise in the future? In its 2013 assessment, the Intergovernmental Panel on Climate Change (IPCC) predicted a series of possible scenarios based on computer models. Most simulations indicate that the change in global surface temperature by the end of the 21st century is likely to exceed 1.5 ° C, compared to those recorded in 1850. How will climate change affect us if we do not act? The scale of the potential impacts is uncertain, but experts say that we are living a crucial stage for the future of the planet. 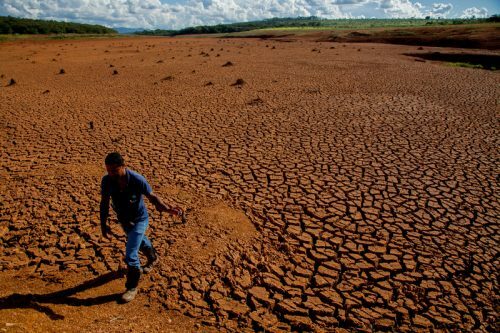 The changes could boost the shortage of fresh water, radical changes in the conditions of food production, or increase in the number of deaths due to floods, storms, heat waves and droughts. This is because climate change is expected to increase the frequency of extreme weather events, although linking any individual event to global warming is complicated. Scientists predict that there will be more rain in general, but say that the risk of drought will increase in areas far from the coast during hot summers. 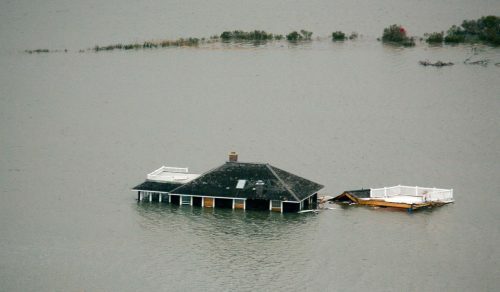 More floods are expected due to storms and sea level rise. However, there are likely to be very strong regional variations in these patterns. The poorest countries, which are least prepared to face the rapid changes, suffer the most. The extinction of plants and animals is a consequence as habitats change faster than species can adapt. The World Health Organization (WHO) warned that the health of millions of people could be threatened by the increase in malaria, waterborne diseases and malnutrition. As more CO2 is released into the atmosphere, the CO2 uptake of the oceans increases, and this causes them to become more acidic. This continuous process of acidification could pose major problems for the world’s coral reefs, since changes in chemistry prevent corals from forming their calcified skeleton that is essential for their survival. DÍA DE LA SECRETARIA?• SECRETARY’S DAY?